Getting back to our normal routine after storm damage can be exhausting and stressful. Storms are natural phenomenon that we should never take for granted no matter how strong the storm signal. Storms comes with heavy rain or snow causing flooding that can destroy our establishments and houses. Strong wind, lightning, and heavy rain are common when a storm is coming or is in the area. There are a lot of safety tips on how to survive in a storm, but what should we do after the storm? Do we evacuate the place, or call the authorities? There could still be danger after the storm has gone, flooding could invaded our homes or buildings and harp and dangerous materials could scatter and make us bleed. ServiceMaster by Wright specializes and offers all the services of water damage, water removal, dehumidification, structural drying, mold inspection and remediation and reconstruction from any storm or natural disaster. 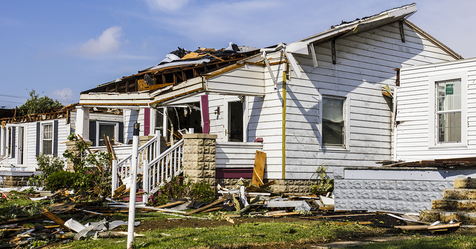 The team at ServiceMaster by Wright has the modern equipment to assess the damage and outline a fast and effective plan to remediate your home or business after a storm. ServiceMaster by Wright continuously reviews the weather forecast and this attention allows for fast response team and equipment planning. During a storm and after, ServiceMaster by Wright is there to service you in all Collier, Lee, Manatee and Sarasota Counties. ServiceMaster by Wright has offices located in Fort Myers FL, Naples FL, Sarasota FL, and Manatee FL. Our Emergency and Disaster Service Division is open 24/7 and responds quickly to any Commercial or Residential Disaster caused by fire or water. From Water Removal, Dehumidification, Structural Drying to Smoke and Soot removal and clean up our team responds within 15 minutes of your call. Our Licensed General Contractors, Certified Technicians provide professional damage evaluations, determine the services needed, mitigate the claim severity, and give you peace of mind.